Dr. Thomas Rodriguez is a psychiatrist who specializes in adult and forensic psychiatry. He is board-certified by the American Board of Psychiatry and Neurology in general adult psychiatry. He treats a wide variety of mental health issues using medications, psychotherapy, mindfulness, and a variety of other treatment modalities. Dr. Rodriguez understands that seeking psychiatric care is often a very difficult thing to do and is always welcoming and compassionate. He uses his knowledge of clinical and forensic psychiatry to determine an accurate diagnosis and create an effective treatment plan tailored to each individual patient. Dr. Rodriguez takes pride in providing the highest quality of care and is not satisfied until his patients are living a healthy and fulfilling life. Dr. Rodriguez obtained his undergraduate degree in Biology at the University of Southern California. He was a USC Presidential Scholar and a Provost Undergraduate Research Fellow, participating in cancer research at the USC Norris Comprehensive Cancer Center. He then received his Doctor of Medicine degree (M.D.) from the University of California, Los Angeles. 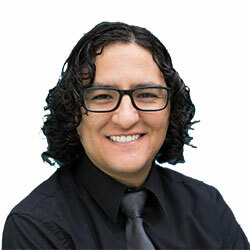 While at UCLA, Dr. Rodriguez received a grant as part of the Rieger Fellowship to gain additional experience in child and adolescent psychiatry and participated in research involving the epidemiology of Psychiatric Emergency Room Admissions. Dr. Rodriguez completed his adult psychiatry residency at the University of Southern California. While at USC, he assisted in crafting the psychodynamic psychotherapy curriculum and taught a psychiatry board review course. Dr. Rodriguez gave lectures on neurocognitive disorders and psychiatric emergencies to psychiatrists and medical students. He also conducted research regarding the optimization of psychiatric and medical treatment in the outpatient setting. Dr. Rodriguez completed his fellowship in forensic psychiatry at the University of Southern California Institute of Psychiatry, Law, and Behavioral Science. He was a consultant for the Los Angeles County Superior Courts, Public Defender’s Office, District Attorney’s Office, and Department of Children and Family Services (DCFS). He served as a Clinical Instructor at the USC Keck School of Medicine, teaching psychiatry residents and medical students about legal issues in psychiatry. Dr. Rodriguez presented on involuntary hospitalizations at the national meeting for the American Academy of Forensic Sciences (AAFS). He was published in Journal of the American Academy of Psychiatry and the Law (JAAPL). In addition to practicing psychiatry at the Premier Mind Institute in Newport Beach, CA, Dr. Rodriguez conducts forensic psychiatric evaluations throughout Southern California.